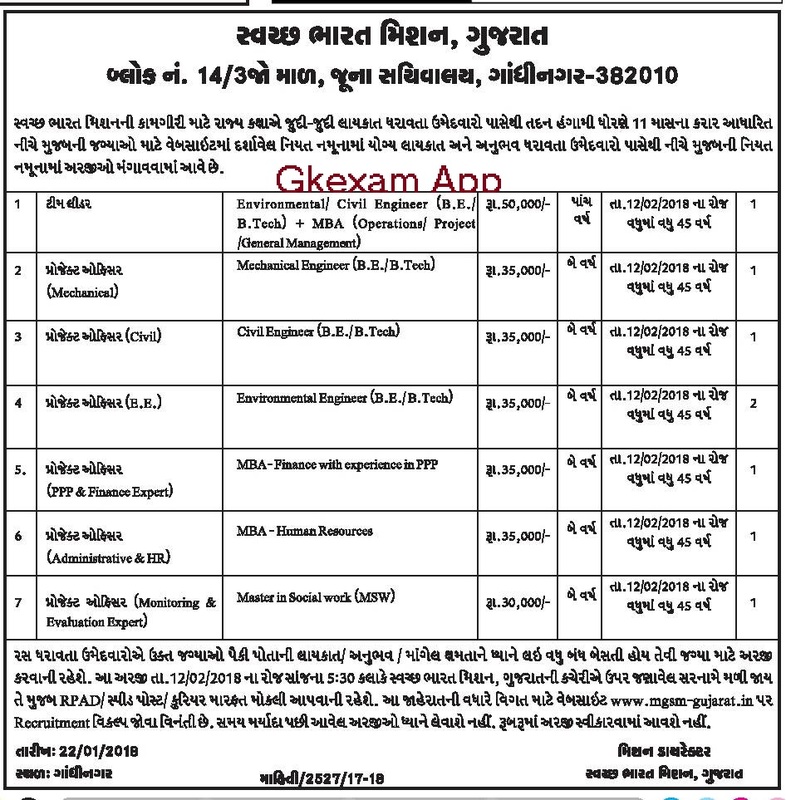 Home » Gujarat Jobs » Swachh Bharat Mission Recruitment 2018. Swachh Bharat Mission Recruitment 2018. Swachh Bharat Mission - SBM Selection Process Final Selection will be based on Interview. How to Apply: Interested candidates are suggested to send duly completed application form in prescribed format. The envelope containing the application form must be superscribed as "The name of the post applied _______" at the top of sealed envelop containing the application form and relevant testimonials.